the leading and trusted names in the global diamond industry. The parent company, Brilliant Diamond, is engaged in the wholesale business of loose diamonds, certified diamonds, rough diamonds and color stones. 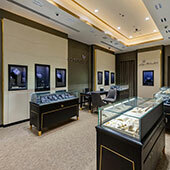 Brilliant Diamond is located in the heart of the diamond market, the Gold Center Building. In the market its brand stands for trust and honesty and is known to be the leading player of the GCC region. Evolving with the market, Brilliant Diamond has also opened up its doors in the iconic Almas Towers. The chairman’s ideology of upholding the highest level of customer service has led him to open up multiple offices across the world to better support his clients. 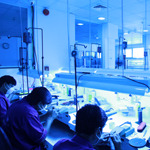 To ensure the highest level of quality to the customers, La Marquise Factory DMCC was opened in Dubai. The jewellery manufacturing unit has increased its operating area and capacity by five times over five years and now caters not only to the La Marquise retail stores but also wholesales its pieces to high-end jewellers across the world. The metamorphosis of rough diamond into a brilliant sparkling diamond was mastered by Mr. Paresh Shah at the tender age of fifteen. Since then, keeping quality as the key decider of the fate of any rough diamond he expanded his small workshop into a state of art manufacturing facility in Surat, India. This facility churns out thousands of carats of diamonds every year to strengthen the vertical integration by providing both the wholesale and retail customers with the best diamonds possible. Retailing became a part of the Brilliant Group when they opened their first flagship store in Deira Gold Souq under the name of Shreya Jewellery. The allure of retailing eventually led to the acquisition of the brand La Marquise Diamonds & Watches in 2006. Over the years, La Marquise spread into nine retail outlets operating across the UAE. The group ventured into Russia significantly with over 70 points of sale among them the renowned Moscow Duty Free. Overall, the success story of Brilliant Diamond can be clearly seen by the fact that the turnover of the group has grown from 1 million AED in 1998 to AED 550 Million in 2012. Projection for the year 2013 is AED 1 Billion. Brilliant Diamond, is engaged in the wholesale business of loose diamonds, certified diamonds, rough diamonds etc. 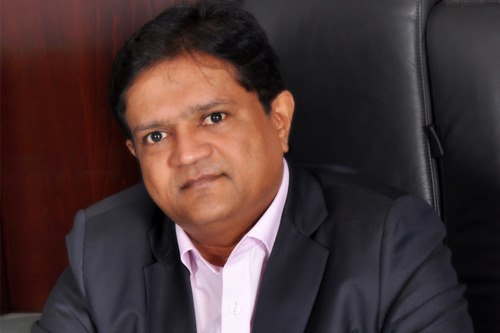 The success story of Brilliant Diamond starts with Mr. Paresh Shah, the owner and Managing Director of Brilliant Diamond, from the year 1998, who is also know as leading wholesaler of the GCC region. Mr. Paresh’s ideology of upholding the highest level of customer service has led him to open up multiple offices across the world to better support his clients. Mr. Paresh Shah, the owner and Managing Director of Brilliant Diamond started his career in Mumbai at the age of seventeen. He came from a very humble background and through hard work, patience and honesty started his own business by the time he graduated from college. He expanded his manufacturing capability by setting up a diamond cutting and polishing factory in Trichur, Kerala. Mr. Paresh’s desire to forward integrate eventually led him to Dubai where in a matter of fourteen years he had expanded his business multifold in every area of the diamond industry. 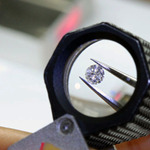 Today, his companies have expanded into the segments of diamond trading, jewellery manufacturing and jewellery retail. We started as diamond cutting and polishing factory and have slowly expanded ourself in the field of diamond trading, jewellery manufacturing and jewellery retail. At Brilliant, our customers can browse our selection of loose diamonds in a pressure-free, convenient environment. Our diamond descriptions and competitive wholesale diamond prices are clearly presented to ensure an easy, informed business transaction. You'll enjoy the personal service offered by the finest diamantaire’s at the price points. 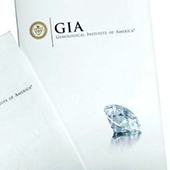 We have a large stock of Quality certified wholesale diamonds that have been inspected and graded by the most respected labs, which include GIA (Gemological Institute of America), IGI (International Gemological Institute) and HRD (Hoge Raad voor Diamant). This stock list can be made available upon request. 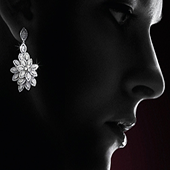 In the diamond jewellery industry, design makes all the difference. That’s where the exceptional talent of our team comes in. These award-winning artisans create incredible designs from scratch, conceptualizing line after line of stunning jewellery. Our designers have walked the portals of some of the most respected art schools worldwide. The teamwork of our artists, hand and graphic designers, CAD creators and master model makers delivers designs that bag prestigious industry awards worldwide. Brilliant diamonds sources its gemstones from across the world and brings them to their customers in a convenient location with the best possible pricing. We procure rough emerald in large quantities which can be shipped to any port across the world. 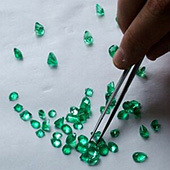 We also deal with polished Emerald, Ruby and Sapphires in all cuts mainly in larger sizes. Enter your details and click send.